Cheryl Kaye Tardif is an award-winning author, whose most recent novel Whale Song will be published by Kunati Inc. Book Publishers in April 2007, launching Kunati’s UNA trade paperback imprint. Whale Song is an emotional mystery that has become a huge success with readers of all ages and all cultures. Born in BC, Canada, Cheryl Kaye Tardif was an 'army brat' and an 'army wife' who has lived all across Canada and in Bermuda. 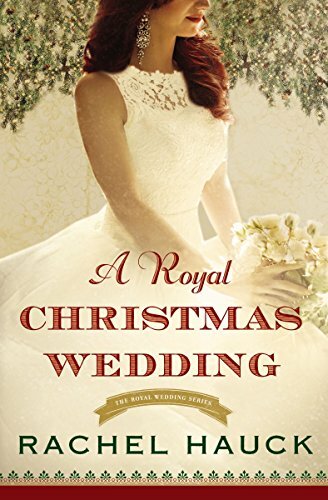 Now residing in Edmonton, Alberta, with her husband Marc, her daughter Jessica, and the family dog, she proudly considers herself an “Edmonton author” as Edmonton has become the place she calls home. Her pride in Canada is evident even in her novels as they all take place in Canada. Thank you for asking. I have an emotional novel that deals with the controversial topic of assisted suicide coming out in April 2007. Whale Song is a heart-wrenching story about love, lies and secrets—the story of a woman haunted by her past and by the tragedy of her mother’s death. Native legends parallel the main character’s life, bringing mysterious visions of killer whales and wolves. 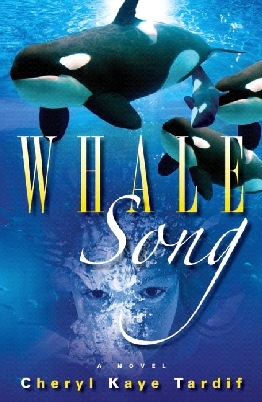 Whale Song was ‘picked up’ by Kunati Books, and it is already being sought for foreign rights interest, as well as interest from multiple Hollywood film companies and other leading film companies. Reviews are just coming in, but I can tell you that Writer’s Digest said, “A wonderfully well-written novel. Wonderful characters [that] shine. The settings are exquisitely described. The writing is lyrical. Whale Song would make a wonderful movie.” The Edmonton Examiner called it, “A wise, enchanting story." Whale Song is my “heart book”. I am connected to it in many ways. People ask me all the time, “When did you start writing?” I honestly don’t remember NOT writing. As a teen, I wrote for a weekly BC newspaper. I made $5.00/week for my small column on the happenings of my town. When I was 16, I wrote my first novel. It was perhaps 60,000 words and I was very proud of it. Since my Language Arts teacher was so supportive, I took it to school to show it to her. It was stolen. And I never got it back. In my early 20’s I completed my second novel and went about the difficult task of trying to get it published. I sent out queries and waited. Then I waited some more. I was always frustrated by the “catch-22”—you needed an agent to get the publisher, yet an agent wouldn’t look at you unless you had been published. I was frustrated. I took a year long course―Journalism and Short Story Writing―and finished it in about 7 months, graduating with Highest Honors and a 96% average. My instructor encouraged me to follow my dream. But I just didn’t know how. In the meantime, I had taken a cosmetology course to make an income, since I had always been told that writers didn’t make much money anyway. In my spare time, I spent time studying the art or craft of writing. I bought books on everything from manuscript formats to fiction writing to publishing. I wrote a Heath & Beauty column for a monthly BC newspaper. Since my husband was in the military, we moved around a lot, making it difficult to find out “how” to become a published author. But I persisted, querying publishers and agents in Canada and the US. And I became completely frustrated by how long it took for the process to complete. A query could take months; a synopsis, another few months; the first few chapters…well, you get the picture. Years passed and still no published novel. So I worked. And strangely enough, in every job, I wrote. I managed a telemarketing department for a home security company and wrote scripts. I was a motivational speaker and wrote my own scripts. I wrote plays and PSA’s―anything I could think of. I even wrote and published a small daycare directory. I wrote ad copy, newsletters, and even wrote and illustrated 2 children’s books. I toyed with the idea of writing another novel, but wrote poetry and short stories instead. And that was hard for me. Fiction was and IS my passion. Eventually, I pushed the novel idea to the backburner. Until a friend of mine heard my story about Whale Song―a story idea that haunted me for 2 years before I even typed the first word. I yearned to write it, but I was afraid I would be wasting my time. My friend, Carolyn, said, “Write it for you. Because you have to.” That was the best piece of advice I’ve ever been given! And I followed it and it’s been an amazing ride ever since. I decided to take a risk and self-publish. 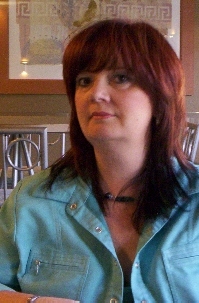 I self-published three books, and perfected my book signings and events, and my pitch. My goal was to create a track record of sales that I could then take to a traditional publisher, to prove to them that I was (am) serious, and that my books sell. Self-publishing for many is still considered a ‘dirty word’, but for me, this strategy worked and I am proud of my efforts. In the spring of 2006, I was offered my first official advance with a traditional and amazing book publisher, Kunati Books. They are the gurus of book marketing, as far as I am concerned. That’s as far as I read before my heart stopped beating and my breath froze in my chest. I think I read it 3 or 4 times before the words sank in. And then, like the professional that I am, I calmly turned in my chair and started flapping my arms and shrieking. Then I read it again―just in case I had been mistaken. And the shrieking just flew out of me. My family raced into my office to see if I had killed a mouse or something. Okay, by now, my publisher is reading this and I’ve destroyed my image of being calm, cool, collected―are you kidding? This was a bonafide contract with a publisher that was going to take Whale Song, my “heart book”, international! And I was going to get an advance! YEE-HA! My years (okay, decades!) of dedication, persistence and hard work learning the craft had finally paid off. There is a time when you have to say, “Enough editing!” That’s perhaps where a tiny bit of doubt comes in. Could I make it better? Sure, it could always use a tweaking here and there. But I am always satisfied with my stories. They are so clear in my head, from beginning to end, that I often feel they write themselves, that I am just the vehicle to get the story told. Do I wonder if people will like my stories? Of course. But then the answer that comes next is, those who want my stories will buy them. My biggest self-doubt is whether the industry―publishing, media and professional reviewers―will like them. But in the end, I wrote them for me…and my fans. Now there’s a word that takes some getting used to…fans. If I ever have self-doubts about my novels, I only have to read the emails I’ve received over the past 4 years, emails from people who have been touched or affected by something I wrote. My fans are my greatest reward! 1) Not following up soon after sending out query. Not being diligent. 2) I followed too many rules. Let me explain…in this business there is a certain etiquette that authors are supposed to follow, often cloaked in the word “guidelines”. When you learn the craft of writing, you’re taught the correct way to formulate a query letter, outline, synopsis etc, and the protocol on timing and follow-up. After years of following the rules and getting nowhere, I learned that it’s okay to break a few rules. Sometimes you have to ask yourself, ‘What have I got to lose?” Sometimes you have to be honest and blunt. I have something they want. I know it. I just have to find the right ‘they’. So I became more forward in my query letters, quoting past sales, marketing strategies and more. I wanted them to know that this was what I was already doing and that I would do even more for them. Don’t follow all the guideline rules. Be honest and believe in your work, that it has value to whoever you approach. Then sell them on that idea. There is only one three-month time period where writing became a challenge, and that was prior to receiving the contract for Whale Song. On January 23, 2006, my youngest brother Jason Kaye was brutally murdered here in Edmonton. I found it difficult to concentrate afterward and almost felt guilty at doing the one thing I loved―writing. It took three months to realize that he would want me to keep writing, yet when I received the contract, there was a part of me that felt very sad. Especially since it was through my novel Whale Song that the police were able to locate me as next of kin. Jason’s friends only knew that he had a sister in Edmonton (my last name was different and unknown). They told the police that all they knew about me was that I was an author and that I had written ‘a book about whales’. The police searched online and found me. Jason had read Whale Song―it was the only book of mine that he had read. Whale Song is dedicated to my brother. It is his book―and my heart book. I recently finished a screenplay (with a co-writer). It was my first and an exciting challenge. It’s the screenplay for Whale Song and I am immensely proud of it. I do a lot of book reviews and I edit for other authors. My biggest pet peeve is the poor editing I find in a work that sometimes seems like a first draft. I make it a rule to have 3 pairs of eyes edit my work, other than me, before a publisher sees it. And I choose people that are skilled in editing. 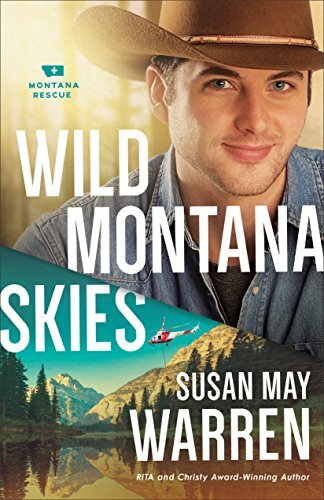 I also abhor tacky book titles that drone on endlessly and book covers that look like an elementary class art project. I write full time now, so I pick and choose what I do each day, so my days vary. Usually I turn on my computer, check my emails, answer them, check my Amazon ranking, check my royalties, look at new emails, post in my blogs and on AuthorsDen.com, update my website. Did I mention my emails? Then, depending on if it’s a “writing” day or a “business” day, I do accordingly. On business days, I write press releases and work on promotion. On writing days―my favorite days―I get to create. I am currently working on 2 new novels of suspense, Children of the Fog and Submerged. I often go to my “other office” on writing days, a local Cappuccino Affair where I’ve become part of the décor. Evolution, from Stephen King. I think his work has changed so dramatically over the years. He started with pure imagination and quite a morbid fascination for the horrific and grotesque. He then progressed into a writer who cared more for his characters, for what made them tick, and now he’s evolved into a writer with a message. I admire the man…although he still scares me. Whale Song…the movie! The River…the blockbuster movie to rival Mission Impossible! And I want to create a documentary on the lives and dreams of the street people of Edmonton. I thought I had quit. I put away fiction. It wasn’t until someone else pointed out that I had written in almost every single job I’d ever had since high school that I realized there was simply no option of quitting. I am a writer. I was born a writer with a storyteller’s soul. My mind won’t turn off. I just have to learn to type faster! My favorite part is the creating of characters and plot. I love it when a story comes together. My least favorite part is the business/accounting end. Balancing books? On my head, maybe! Oh my…have you got a few hours? I market every day. Whether I’m writing press releases and articles, updating my sites and blogs, organizing events or emailing fans…it never ends. And I love it. After all, I am marketing what I believe in. My work. I have a nickname. ‘Shameless Promoter’. When Shameless kicks in, I’m on overdrive. I take advantage of every opportunity. If I overhear a conversation on books or authors, better believe I’ll get in on it! If I have bookmarks on me (and I always do), I’ll pass them out to someone every time I’m out…even at my husband’s Christmas party. I leave bookmarks and notices everywhere, doctors’ offices, coffee shops, hair salons, benches in the mall―oops! It is important to build relationships with your fans, to create email lists and newsletters. Online marketing is key, and it’s not that difficult to do a bit each week. And then there are book signings and readings. My main promotion time has been September to December. However, once Whale Song is launched in April, I’ll be on a media and promotional blitz. Thanks for stopping by! I whooped and hollered too, when I got agent representation! And I love that there was a thread through all your jobs: writing. Cheryl, whew, that's some journey to publication. Thanks for giving us all the details. I agree that Misery was one of King's better books. I'm a fan too. I liked the tightness of that one. I also agree with your advice to dream big! Thanks much for being with us. Wow, thank you!! I finally got a chance to get online and read this...the only thing missing was all my (oh-so-professional) happy faces. :) There! Snuck one in! Thanks, Gina. It was a fun interview and I plan on adding the first few lines to all my sites/blogs ect with a link back to your site. Gina, can I send my author friends your way? You really know how to interview! I enjoyed this interview--thoughtful questions and thoughtful answers. Cheryl, your experiences with timing ring true for me as well, and you are right to do your best work, then believe in yourself enough to put the work out in the world. When my e-mail from Kunati came last month with an offer to publish "my heart book" in fall 2007, I did some spinning, too. After enountering so many publishers who deal in packaging books to fit the genres, I am thrilled beyond measure--as I'm sure you are--to work with a publisher who sees the individualistic, quirky, provocative, or controversial as a plus. Best wishes with Whale Song! Thanks for doing this interview. I enjoyed it a lot. Now we know Cheryl better and can better appreciate/admire her. Cheryl - hello from a fellow Edmontonian. I met you a few years back briefly as part of a writer's group called WOW Writers or something. Glad to hear that your writing is coming along; congratulations! This was a great interview. I really enjoyed your enthusiasm for your project and your writing. It's catching - no wonder you are succeeding! We are so proud of you,well done.